I’m not sure there is a typical day, as there is so much variety. My key responsibility is managing the team to deliver for the client. We are there to impact the client's resourcing function with focuses on quality, speed, cost and diversity of hire. Building relationships internally and externally are key to building successful relationships, as well as having a network of trusted advisors/mentors. I love developing my teams, it's far and away the most satisfying part of my role. Whether that be enhancing a skill that a team member already possesses or teaching them a new skill or approach. Having engaged individuals can only be a positive for me, WilsonHCG and ultimately the client. How did you get into talent attraction? After working for some fantastic agencies in the financial services sector, I was approached by a major client of mine to make the move in-house. It is extremely different from the agency side but I took to it straight away. Building on my skills and not being afraid to ask questions have been a vital part of my career. Also, one key factor has been making mistakes and learning from them. I’ve been fortunate to have some great managers and making the moves I have, have been fundamental in my longevity in the industry. Why did you decide to work for WilsonHCG? WilsonHCG is a real thought leader in the marketplace which is what initially impressed me. Then when I saw the culture and met my peers, it just felt like home very quickly. We build real partnerships with our clients and always aim to do the right thing by them. WilsonHCG’s approach matches my own moral compass. Do you work remotely? If yes, what do to enjoy most about this? I have real flexibility and work onsite, from one of our shared services centre and I also work remotely, which helps with the work/life balance. WilsonHCG has offices all over the world. How do you collaborate with your colleagues? I’ve never worked in a global organisation that is so joined up before. From day one, it was so evident that WilsonHCG is different. My induction was spent meeting colleagues virtually in Poland, Toronto, Ohio, and Tampa. We have peer groups globally and will work on projects that includes all locations. We use tech to remove barriers. If you are passionate and what to develop your career in a supportive organisation where you will learn so much, then it’s a no brainer! WilsonHCG is the place for you. 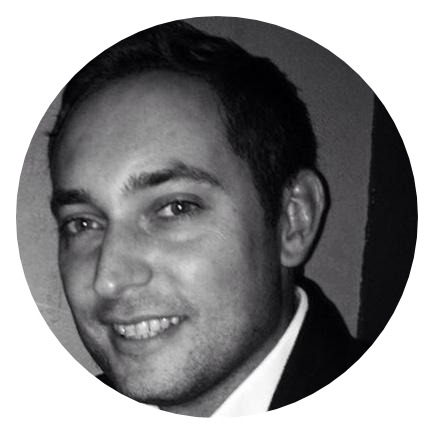 Richard Matthews is a Recruitment Operations Manager at WilsonHCG. Richard joined us in March 2018 and is based in the UK.